Remodeling a kitchen can be a little confusing and overwhelming at first, but with the right method and strategy, the benefits a new kitchen can provide are endless. Homeowners often spend a lot of money when undergoing a kitchen remodel, a kitchen renovation or remodel is usually one of the more costly home improvement projects a homeowner can undergo. This is largely due to the intricacies and details involved in designing and installing a new kitchen. It is hard to grasp, but try not to you worry about the amount of the money spent on a kitchen remodel because when it is finished you will most likely recover the money spent through the increase in property value and kitchen functionality. For instance, a kitchen remodeling at a cost of $45,000 is estimated to bring back 67% return on the sale of the property. The 67% increase in value isn’t just a random figure, it is based on the annual report from National Association Realtors in 2015, remodeling impacts report. 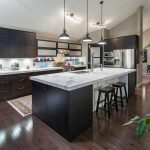 The same report also shows that a greater percentage of clients and homeowners that got their kitchen remodeled gave a 9.8-star rating in satisfaction and saw a significant increase in property interest and value. 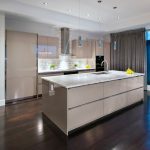 To ensure you reap a good return on investment in your kitchen remodeling project, it is advised you follow these simple yet effective strategies to get the kitchen of your dreams. A famous saying goes “if you don’t plan to win, then you have planned to fail”. Spend much time planning your kitchen remodel and renovation project. Proper planning can save you money and time while reducing costs and saving you the stress and anxiety. How much time should I spend planning? The national body of the kitchen and bath association advise a duration of 6 months at the most for the planning. This time is enough for you to take necessary precautions, set your budget and make decisions before taking a single step towards construction. Simples tips on effective planning. Having difficulty planning? Bow Valley Kitchens has you covered, kindly follow these rules, and you will see yourself planning like a pro. Study your existing kitchen: Take a look first at the kitchen you have now. Consider the width of the doorway leading to the kitchen. When you know the actual width, then you act accordingly, like buying an extra fridge with the same width. Much like the width the height needs to be taken into consideration, make a rough sketch of the height and width of every appliance you have and the parameters of the kitchen. Traffic patterns: This is another great point to should consider before undergoing a kitchen renovation. Space where family members walk around in the kitchen, an area that is most commonly used for entertaining and the appliances that are used most frequently should all be put into consideration when planning the kitchen layout. Is the kitchen spacious enough? The space in the kitchen should be at least 42 inches wide. Design with ergonomics in mind: A kitchen that everyone will enjoy and the resident can use with ease should be the objective of a kitchen remodel. Make necessary adjustments in the height and position of the cabinets, drawer, and shelves in a way that every user can work quickly and efficiently. Plan for the unforeseeable: Yes, occurrences and mishaps happen during the construction and during the lifecycle of the kitchen. Try your best to always plan for the unpredictable to prevent unforeseen expenses down the road. Select the materials to be used: When you choose the materials to be used in the kitchen for the countertops and cabinetry, it helps with the development and to have the kitchen completed on time. Ask for help: Seek a professional kitchen remodeler, from the design to the installation a kitchen contractor can help you navigate the entire process. the services of a professional. Making a design that deviates entirely from the original kitchen layout will be costly. Changing the position of the pipes and electrical connections will lead to unforeseen circumstances and often have high costs. It is called remodeling, keep it simple. While planning, include the tools you need, and the appliances that will improve your kitchen. A six burner commercial grade range and luxury-brand refrigerator may look good but may overly expensive and underused in your kitchen. The kitchen remodel is not about changing the appliances and kitchen equipment. A kitchen remodel is about changing the design of the kitchen. Consider what appliances you need, and which ones you want, working with a kitchen designer can help determine the best appliances for your needs and budget. Ambient lighting: The wall sconces, Flush-mounted ceiling fixtures, and track lights illuminate the whole kitchen. Make sure you include the dimmer and switches to control the mood and light intensity. Task Lighting: These include under cabinet lights, stove lights and the lights required to work in the kitchen at any time of the day. Add pendant lights over the counter and fix lights where you perform most of the task to avoid shadows. Quality should be the focus when you are remodeling your kitchen. It is not that all quality products cost more; there are quality products in the market that are affordable. Go for products that are necessary and have low cost of maintenance. Low-quality materials don’t last long and easily fall apart and detereorate over time which will cost you more money to repair. Hang it up: Hanging kitchen equipment up makes the kitchen look clean and creates more space. You can hang ceiling racks where you put your kitchen utensils. You can also hang good pots on the wall as well. Install cabinets that reach the ceiling: This simple act saves a whole lot of space, especially when the kitchen space is small.